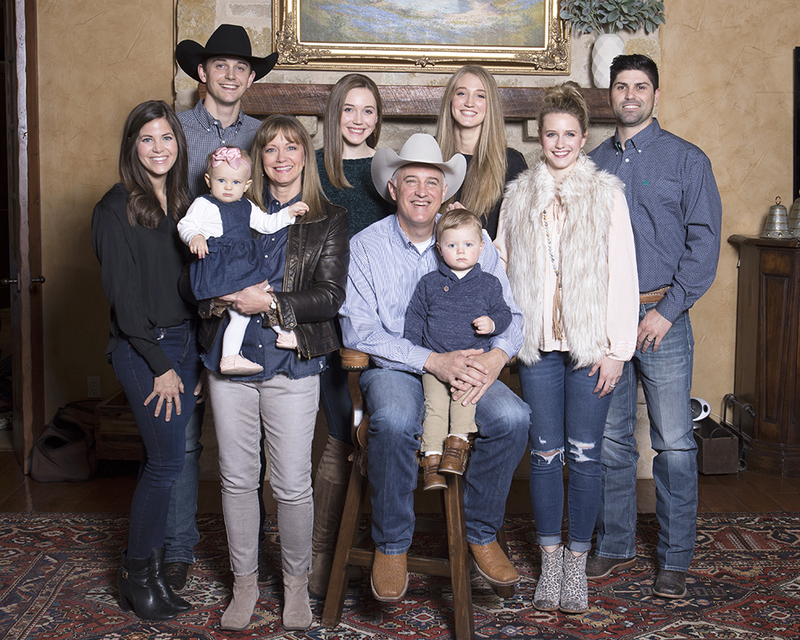 What started out as a small mom-and-pop western store in a strip mall in Decatur, Texas has grown into a brand and business everyone in the western industry recognizes. 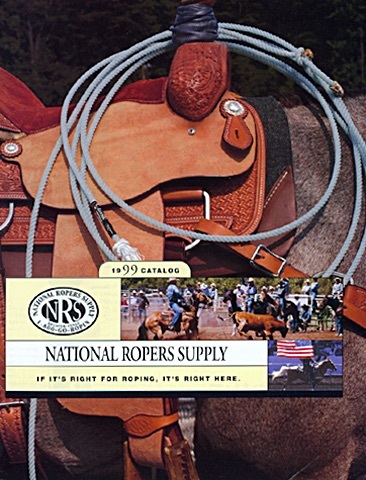 National Roper’s Supply [NRS] hasn’t always been NRS, however. Owner and Founder, David Isham goes back 30-years and recalls a time when David’s Western Store was in its earliest stages. Fast forward 30-years later, that initial store sparked the idea and dream behind what is now four retail locations, a training and event center, six trailer dealerships and a booming ecommerce business. Along with Mildred’s help on the western wear side, Isham decided to begin introducing tack products into his store. His passion for team roping, which was founded before opening the store, drove him to carry the latest and greatest product as it pertained to the sport. “I began bringing in product that was highly relevant and was stuff that I would use,” says Isham. 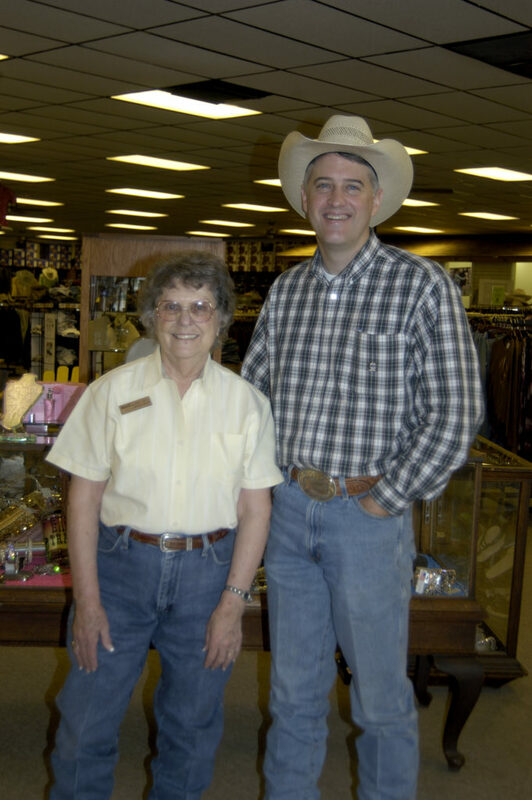 After outgrowing his first location, Isham opened a second store in Decatur and by 1994 had acquired highly-relevant, highly-sought-after tack and western apparel items to stock his shelves. Eventually, he began to realize David’s Western Store carried something for just about everyone in the industry. Not only did the store have a great local footprint, but the opportunity to create a nationally recognized business pushed Isham to think next level. David’s Western Store moves locations. With a new name, 1-800-GOROPIN vanity number and ads running in various rodeo publications, Isham began to grow the NRS brand. Along with this growth, he entertained the idea of producing a mail order catalog. To help with the process, Isham hired Mark Pingel, a young man who had been driving for world champion team ropers Mike Beers and Dee Pickett. “Mark had been on the road helping these guys get ready for rodeos, so I knew he would have a good understanding and knowledge of what tack products should go in this initial catalog,” says Isham. A lot of thought and care was put into determining the product lineup. “We’ve still got the same great products that made the cut for the first catalog in our current catalog,” says Pingel. In Fall of 1994, 14,000 catalogs were ordered and 2,000 were mailed to addresses Isham had collected in shoeboxes. Information about the catalog was included in all of the store’s ads and readers were encouraged to call and claim their free copy. “The phone rang off the hook and we ended up mailing out all 14,000,” says Isham. To this day, NRS still produces two catalogs annually. One in the Spring and one in the Fall. Though producing a major catalog requires a lot of time, funds and manpower, Isham believes the printed piece is still one of NRS’ greatest marketing assets. He credits the mail order business and the success of the first Decatur store with allowing him to open two additional retail locations in Granbury and Weatherford, Texas. He jokes and says that more thought should have probably been put into the business decision, but in the end, it worked out for him and two years later he opened a third store in Weatherford. The fourth brick and mortar store in the NRS conglomerate was opened last Fall in Wickenburg, Arizona. The team roping hot spot seemed a logical fit for a company named National Roper’s Supply. With brick and mortar business doing well and the mail order turned ecommerce business continuing to climb, Isham felt it was time to build his dream retail store right in his hometown of Decatur. One of Isham’s favorite things about the store is that it’s located on the ranch he and his family slowly built. 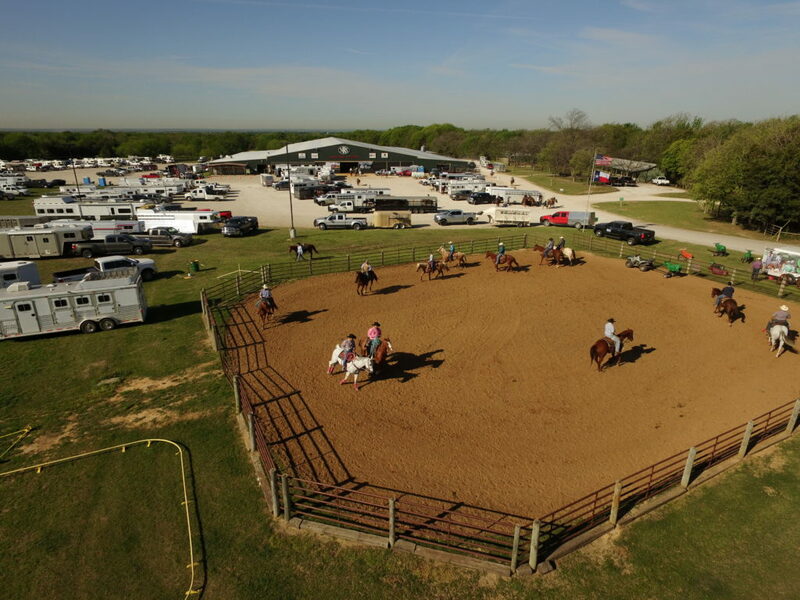 What started out as 24 acres and a boy from the city’s dream playground, has evolved into a 400+ acre ranch featuring a training and event center, trailer dealership and major retail store. Today, the 90,000 square foot megastore sits at one of the highest points in Wise County. Stocked with everything the horseman or horsewoman could possibly need, the store has become a popular destination for those involved in the western industry. 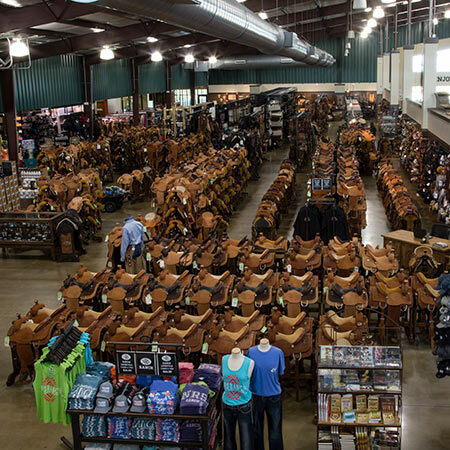 From tack, saddles, ropes, animal health and farm and ranch equipment to the latest in western apparel, boots and hats, the store has been compared to Bass Pro, but with a cowboy spin. 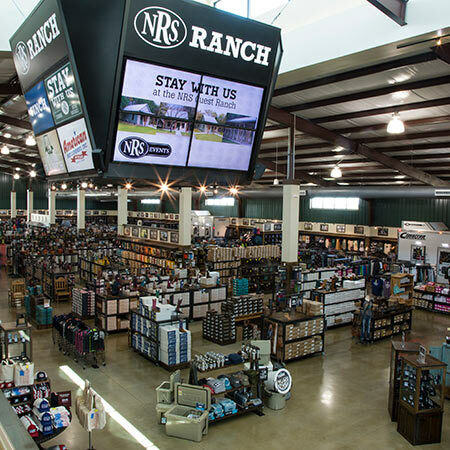 Along with Isham’s dream store, the NRS Ranch is also home to a training and event center and trailer dealership. 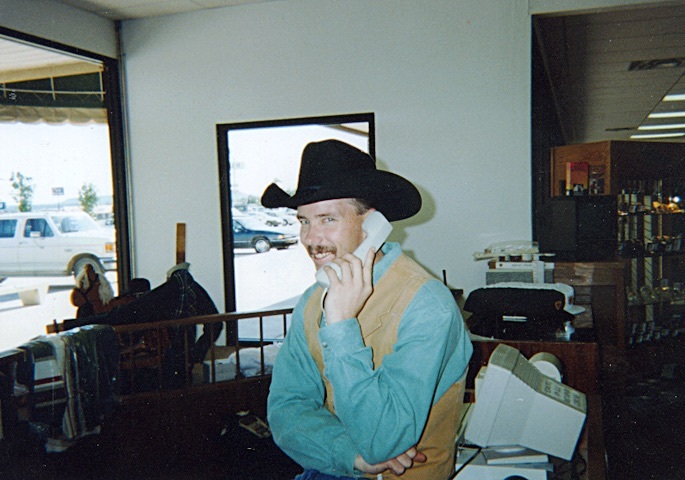 In his early stages of business, he remembers many callers to the 1-800-GOROPIN line wanting more information on how products might help their roping or affect their horse. Aside from answering their questions over the phone, David had no way of showing customers what he was talking about. “I had this vision that if I could build a training center here in Decatur, and we could get world champions to come and answer their questions and walk them through things like how to perfect their swing, then people would show up,” says Isham. In 2003, his vision became a reality and the NRS Training and Event Center was opened. Since then, the center has hosted over 500 clinics. Thousands of participants have traveled to the ranch to learn about the latest and greatest as it pertains to their discipline. The trailer dealership followed shortly after. 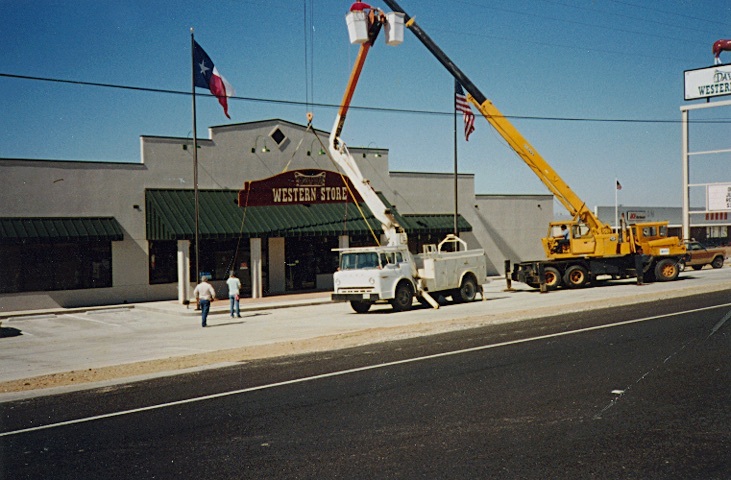 Along with their Decatur location, NRS Trailers is also in Willis, Texas, Oklahoma City, Oklahoma, Fort Scott, Kansas, Ocala, Florida and Wickenburg, Arizona. When learning of the expansiveness that is the NRS brand, one might be quick to assume NRS is managed by a large corporation with thousands of employees. Think again! “One of the things I’m most proud of and one thing that a lot of people are unaware of is that NRS is still just the David Isham and family business along with its amazing employees, who are like family,” says Isham. Despite having four retails locations, a large shipping and receiving department and an event center, NRS operates with a little over 300 employees. Two of which are Isham’s children. His eldest, Cade, followed in his father’s footsteps and received his degree in accounting, passed his CPA and before joining the NRS team, worked for an accounting firm. Isham remembers being thrilled when Cade decided to return to the family business. Isham’s second child, Jaci also works for the family business overseeing the company’s social media and video marketing strategies. “It is definitely a family affair. I am so fortunate to get to go to work doing something that I love so much with the kind of people and the kind of customers that I love so much,” says Isham. When asked what the next 30-years look like for NRS, Isham takes a moment to reflect. Continuing to partner with great brands on the retail side, is one thing he is sure of, however. “I love being a retailer. My success has come from partnering with the wonderful brands in our industry and working with them looking for win-win situations by presenting the products they’ve produced,” he says. Throughout the upcoming year, NRS will continue to market its 30th anniversary celebration. Part of this celebration will be giving back to the customers that have trusted and been loyal to the retailer. Isham hints at plans to launch a more interactive and user-friendly website. When asked about opening another retail location, he mentions their Wickenburg location. One thing that has kept Isham successfully going throughout the years is his optimism, even through hardships. Be sure to follow NRS (@NRSWorld) on social media to keep up with 30th Anniversary Giveaways. 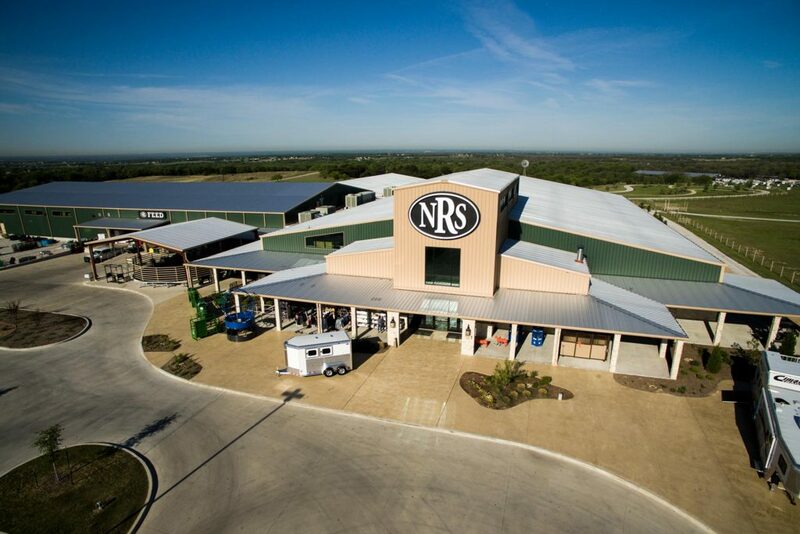 If you’re interested in learning more about National Roper’s Supply, visit NRSWorld.com to view their full product lineup or visit NRSRanch.com to learn more about their headquarters in Decatur, Texas.